This my personal favorite area of Florida. 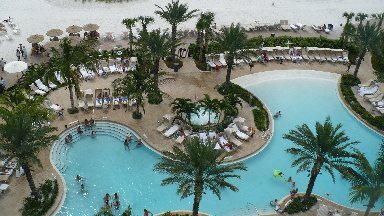 The Tampa beach resorts are excellent. The beaches are sun-drenched white powder sand, with warm waters. The Tampa Bay area has a wide variety of things to do. From a travel standpoint these are the easiest of the gulf beaches to get in and out of, and it’s central location gives you access to a wide swatch of Florida within a couple of hours in all directions (except west of course – That is the Gulf of Mexico). A beautiful new resort with high-end amenities including luxurious accommodations, a world-class spa and signature cuisine, all accentuated by a unique culture of unparalleled service set on the beach. This is an amazing place to relax and enjoy. Many of the amenities are right on the beach. This is a favorite place of my sister and her family. The picture is from their balcony. Note how the pool meets the beach. 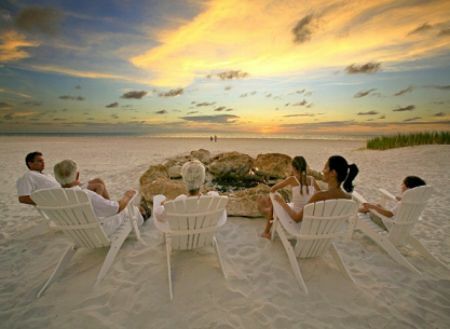 There is even a fire pit for relaxing on the beach at night. An excellent resort for the active set. There is lots to do, and this place is geared for a good time. Jet ski & parasail rentals are available. There is a Tiki bar with live music for daytime fun, and a night club, that puts on a light show, for the evening. 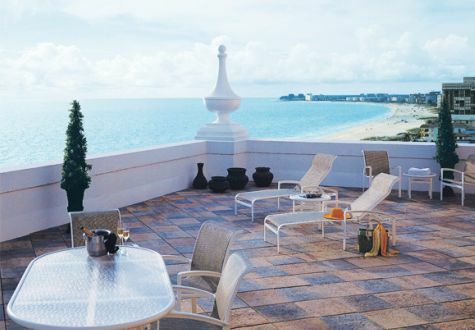 This is a unique 2-for1 Location that combines two distinct beach resorts into one. 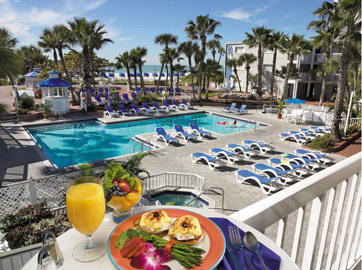 Side by side, Tradewinds brings a 4-diamond, family-oriented resort in connection with a more intimate resort, specializing in relaxation and tranquility. 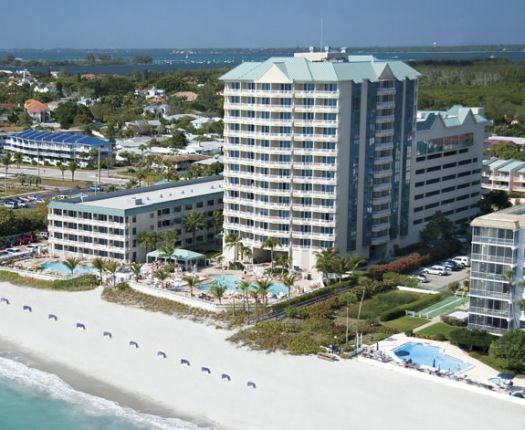 The end result, lots of beachfront, a large assortment of amenities, and a great vacation. We stayed here, with some friends visiting from up north, and had a great time. 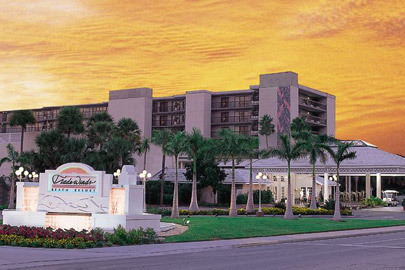 One of the original grand old resorts in Florida and is a landmark for all Tampa Beach resorts. Originally built in the 1920’s, “the pink palace” is an opulent resort with luxurious Mediterranean style rooms and suites. With the newly completed, 11,000 sq.ft., Spa Oceana, the Don Ceasar offers the highest quality of accommodations and amenities. 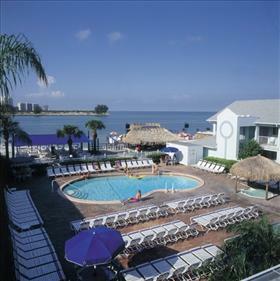 Located near the very end of the Pinellas penisula this resort boasts panoramic views and beautiful sunset vistas. One of the great things the southern end of the bay area is that it is still full of old Florida charm while not being far from an abundance of things to do. This resort is a modern hotel style resort, with a quaint feel. 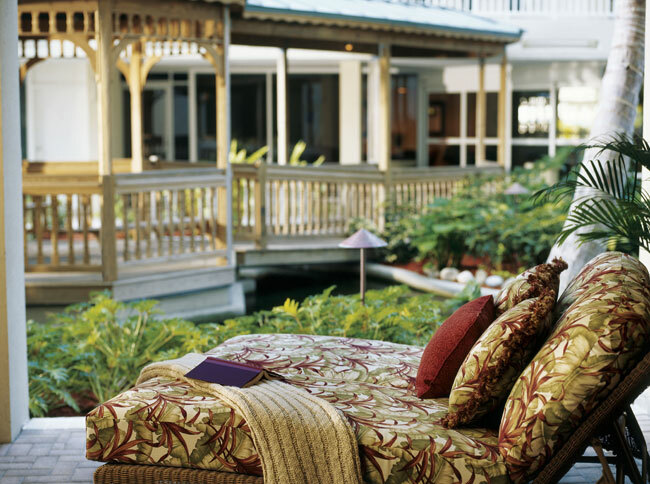 There are 2 pools and a covered breezeway with soft cushioned lounges facing a lovely garden area with a waterfall. One of the best parts is that the resort is only about a mile from St. Armand’s Circle, a wonderfully eclectic collection of shops and restaurants that are sure to please.